(Brisbane Courier, ‘Mr Raff’s’, 19 October 1879). 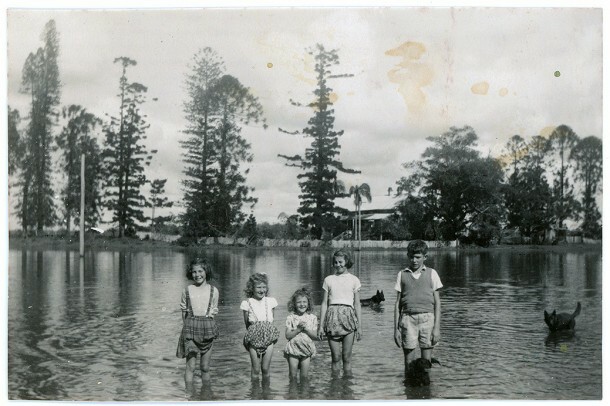 Frasers and Williams in a flooded lagoon. 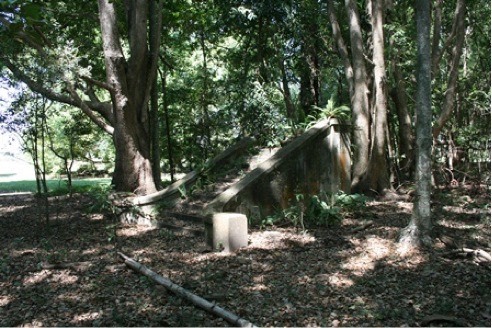 The Old House is visible in the background its garden enclosed by a close boarded fence. 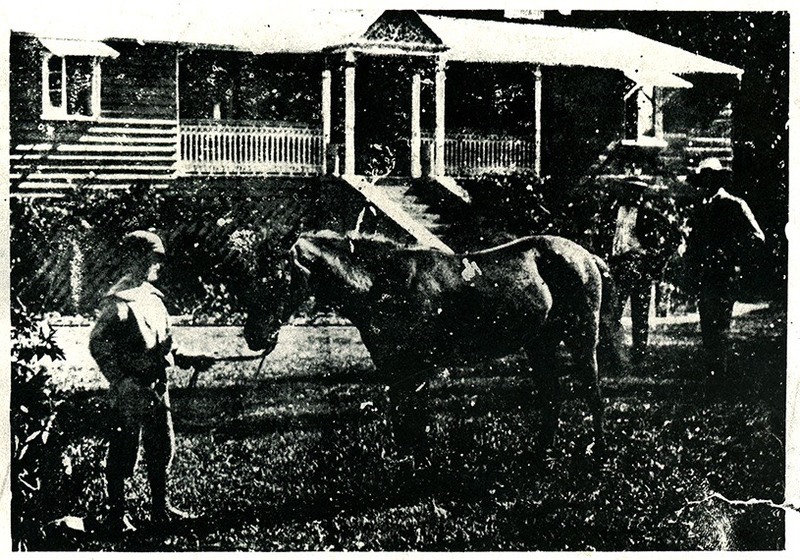 Raff grew cane on the plantation until the mid-1880s. His death in 1889 led to a decade of neglect before the lands were eventually sold in 1901. The former plantation lands were then divided into paddocks for grazing dairy cows, though some portions continued to be cultivated. Successive owners lived in the Old House but also erected new buildings and structures, such as dips, sheds and fences. 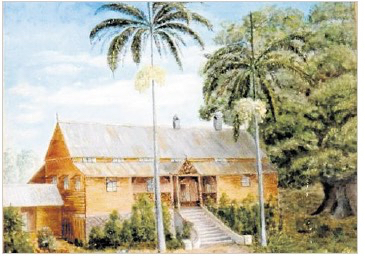 Some plantation-era buildings were re-used, including the Old House and possibly some sheds by the Caboolture River. A new Queenslander-style house was also built close to the lagoon for share-farmers and their families (visit the Share Farmer’s House). By the 1960s dairying had ceased and the land sold to A.P.M. Forests Pty Ltd. Most of the property was converted into pine plantation which involved extensive remodelling of the land surface to enable drainage to suit the regimented pine forestry operation. 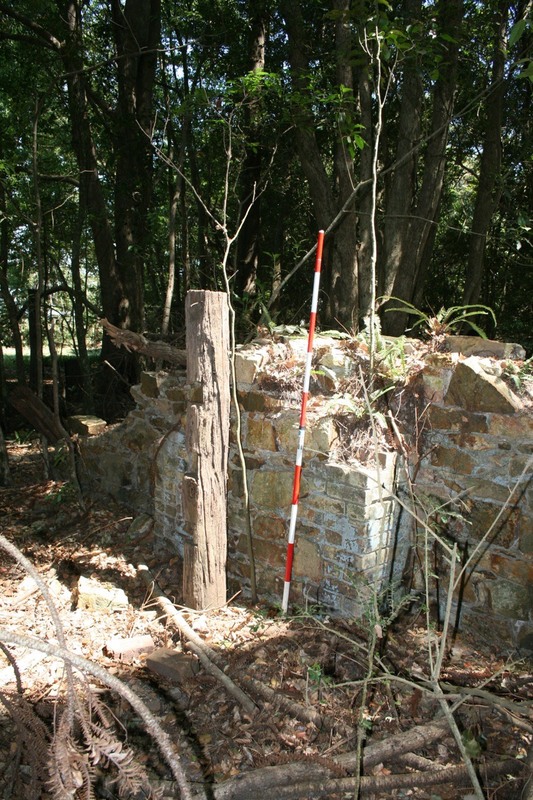 The Old House site survived this remodelling and its remains are still visible today. Cheryl and Karen remember the Old House for its grandness but in their day there was not as much entertaining as there had been in Raff’s time. Cheryl and Karen talk about playing on the steps and making western style corals in the yard using bamboo poles.